President Donald Trump announced Tuesday evening that he had selected U.S. Circuit Judge Neil Gorsuch to fill the Supreme Court vacancy left by Associate Justice Antonin Scalia. So just who is Neil Gorsuch? According to NPR, Gorsuch, 49, is a solidly conservative judge with a record of strictly interpreting the Constitution, who reportedly sailed through an earlier confirmation process for a spot on the U.S. Court of Appeals for the 10th Circuit in Denver. 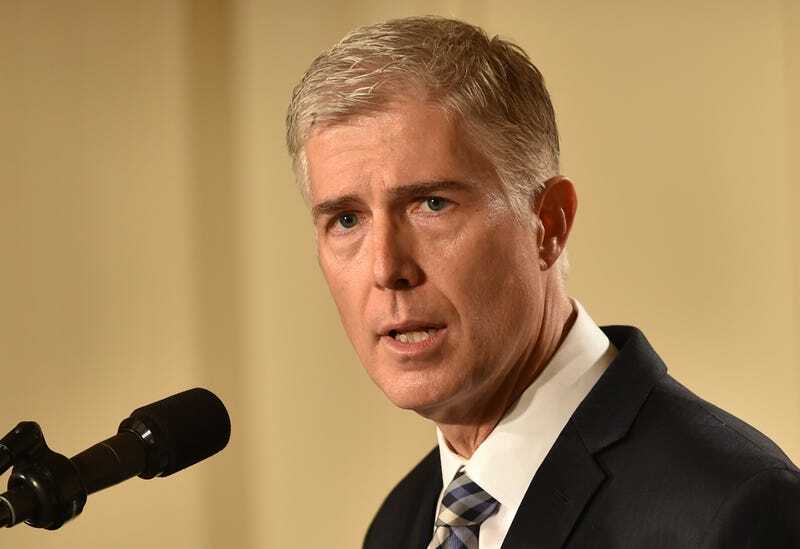 Gorsuch’s résumé includes legal clerkships for two Supreme Court justices, Byron White and Anthony Kennedy, as well as a clerkship on the second-most-important appeals court in the country, in Washington, D.C., for conservative Judge David Sentelle. Like Justice Antonin Scalia, whom he’s in line to replace, Gorsuch has cultivated a reputation as a memorable and clear author of legal opinions. He also considers himself to be an originalist. Lawyers who practice before the U.S. Court of Appeals for the 10th Circuit, where Gorsuch currently works, said he’s a popular and approachable judge. He is an ardent textualist (like Scalia); he believes criminal laws should be clear and interpreted in favor of defendants even if that hurts government prosecutions (like Scalia); he is skeptical of efforts to purge religious expression from public spaces (like Scalia); he is highly dubious of legislative history (like Scalia); and he is less than enamored of the dormant commerce clause (like Scalia). NPR notes that Gorsuch sided in favor of “religious freedom” claims made by the Little Sisters of the Poor and the owners of Hobby Lobby who fought against language in the Affordable Care Act that required them to cover contraceptives for their employees. In 2014 the Supreme Court backed Hobby Lobby on that challenge. In 2006 Gorsuch published a book called The Future of Assisted Suicide and Euthanasia in which he criticized the practice. Last year he contributed to The Law of Judicial Precedent.